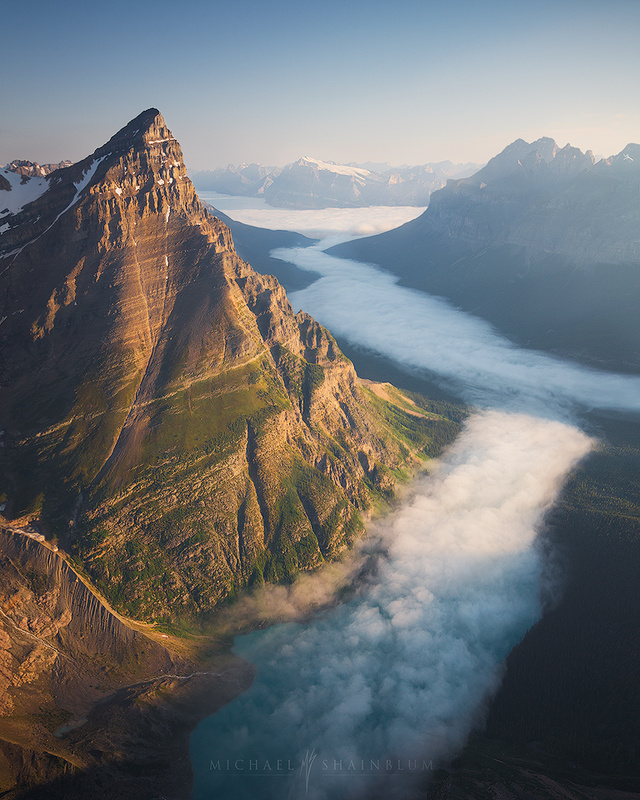 High above the Canadian Rockies during sunrise. We lucked out with a beautiful fog bank floating through the Valley. This image was taken on a helicopter flight.